I've posted previously that today's marketing is great content combined with tech savviness. Gone are the days of selecting images for TV, print and direct mail. Today's marketing is an interactive experience combining the virtual and physical world. 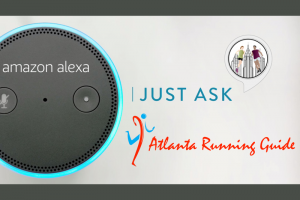 These principles are how and why I have created the Atlanta Running Guide website and corresponding Alexa Skill. In this article, I'll discuss the ideation, creation, and methodology of the my project. Next week, I'll discuss how I used the data to create content in several different mediums from the web to Alexa, and Amazon Echo Show. It started out so innocently. On a extended weekend trip to Chicago, Lisa and Brad, my Chicago friends started discussing the running scene in Atlanta. At about the same time, I decided I wanted to create another Alexa Skill (I had 5 approved Alexa skills at that point). My last published Alexa Skill offers advice to runners on clothing levels based on temperatures, running intensity and a few other factors. You can access the Running Clothes Alexa Skill here, or watch the demo video here. I subscribe to the "Write what you know," Mark Twain methodology. 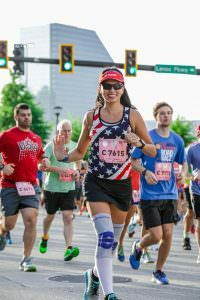 After completing 2 full marathons, 7 half marathons, and an assortment of 30 other races in 5 years, I'm pretty savvy about the Atlanta running scene. 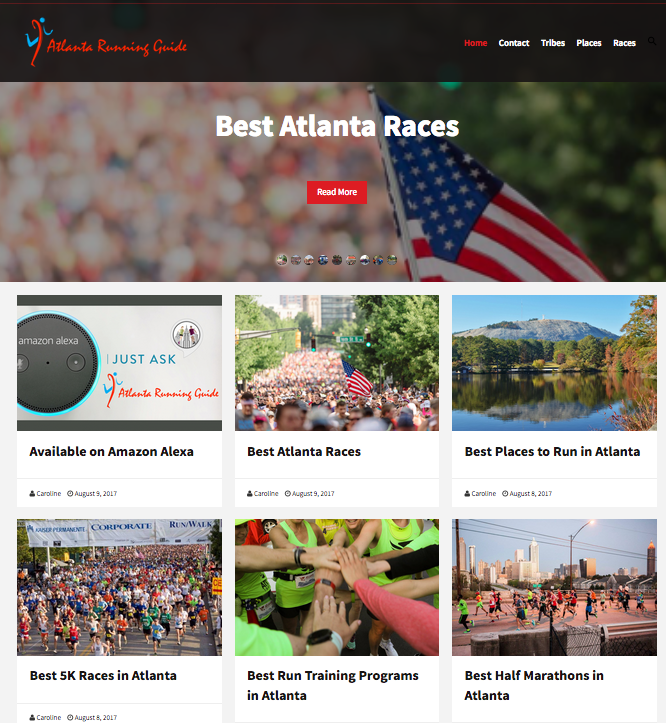 I thought about how little I knew about Atlanta running when I started, and how great it would have been to have a running resource specific to Atlanta. I started searching for existing resources. 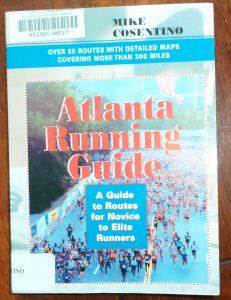 In a Google search for "Atlanta Running Guide," I found a book published in 2003 titled "Atlanta Running Guide" written by Mike Costentino, owner of Big Peach Running Company. 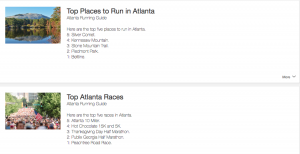 In my research, I came to the conclusion that there was no current guide for runners in Atlanta. 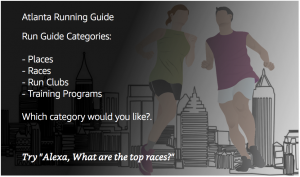 I decided the best way to get this information was to launch a survey to the Atlanta running community. As I created the survey, I debated about which platform to use and how to ask the questions. I tried SurveyMonkey first. SurveyMonkey has the most advanced features, but since I was on the free tier, I could only ask 10 questions and capture up to 100 responses. I moved to Google Forms next. Google forms wasn't as "fancy" as SurveyMonkey, but I wasn't limited in questions or responses. Shuffling answers. This was key for me. I didn't want people selecting the first answer or being accused of playing favorites by putting my favorite answer as the first one. Kicking someone out who didn't fit the profile. I needed answers from people who had at least some running experience in Atlanta. The first question asked about running experience in Atlanta. If the respondent selected, "I've never run in Atlanta." it automatically spared them from trying to respond to questions they would have no idea the answer to. KISS - Keep it Simple Sam - I'm not a fan of matrix style rating and ranking survey questions. It turns fun into sloth work. No, I don't want to rate every answer, or be forced to click "n/a" 500 times! I just want to tell you where my favorites are. I allowed for open ended comments at the end. Instead of asking for their contact info, I provided my contact info if they wanted a personal response from me. Now that I created the survey, how would I solicit responses? Surveys ask for time, and people are busy. I didn't have a Starbucks gift card to offer up or any other gift for that matter. I realized that reaching out to my running network would be key to getting survey responses. I launched my survey on Saturday morning by asking everyone in my Atlanta Running Meetup group to fill out the survey. My strategy was to start with personal requests to close friends. Nothing beats genuine word of mouth marketing. On Sunday, I posted to my network on Facebook and Twitter. In 50 hours from when I asked the first person, I had 200 completed surveys! I left the survey open for a few more days and at final count I had about 300 completed surveys. rveys of self-identified non Atlanta runners. 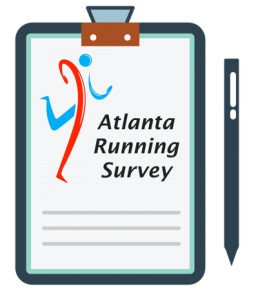 I ended up with over 250 qualified legitimate survey responses with over 88% of respondents with 2 or more years of Atlanta running experience. Not bad for less than a week of collecting surveys. If you are interested in the specific data from this study, please feel free to contact me for further information. I was truly blessed to have a great network of fellow runners willing to share my survey and solicit responses.Thank you, Thank you, Thank you, to everyone who completed the survey. Check back next week as I discuss organizing and presenting content for different mediums, devices, and experiences. I'll provide insight into developing for the new Echo Show vs. Echo Dot.